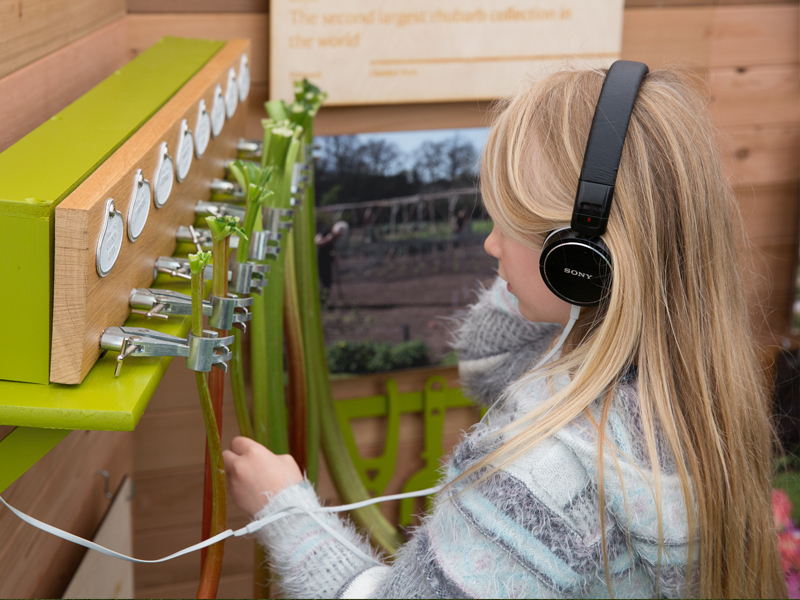 The Garden Shed Road Show was funded by an Impact and Knowledge Grant from the Faculty of Arts and Social Sciences at Lancaster University. 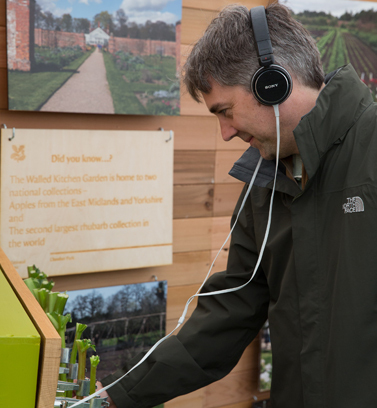 The garden-shed-like structure contains portable versions of the artefacts made during PhD research at the Walled Kitchen Garden in Clumber Park, a National Trust property. These include a mini-rhubaphone and small audio apple tree. The flexible design enables accompanying information and media to be changed according to audience. 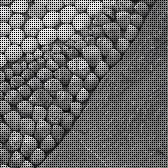 On some outings the ‘shed’ will contain materials for communicating research questions and outputs to academics and organisations to stimulate conversations about issues arising from the research. On other outings the shed will be equipped with community engagement materials. 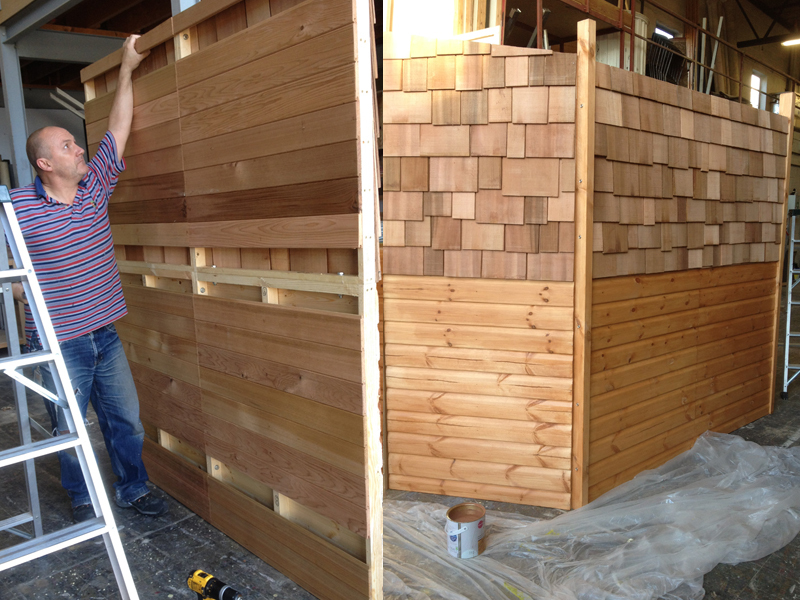 The shed is designed to flat-pack to panels that will fit in the back of a small car, so it can be transported easily, without the extra cost of hiring a van. 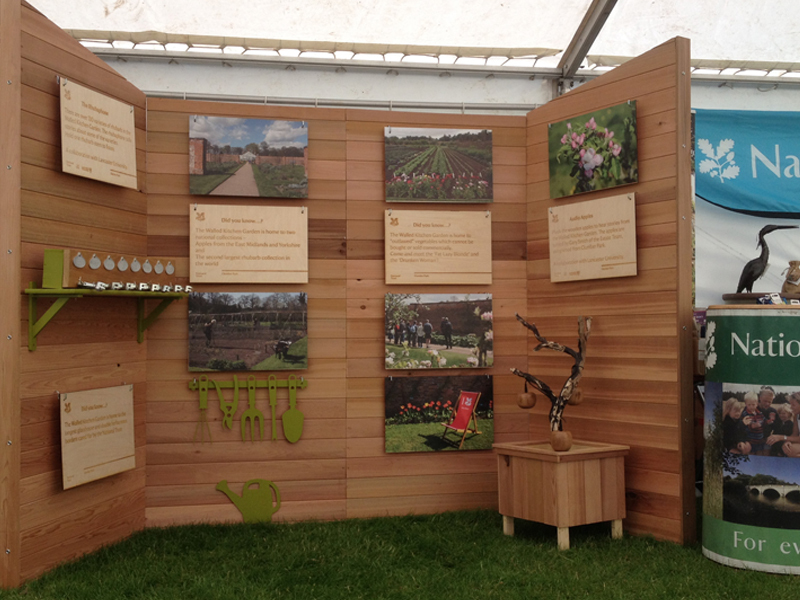 The shed’s first outing was to the East Midlands Flower Show at Newstead Abbey with at team from National Trust.